Finding Shells printed from an original oil painting by Thomas R. Dunlay. The larger sized prints, 14" x 18" are limited editions of 750, signed and numbered by the artist. Printed using Gicl�e technology on hand-made watercolor paper. 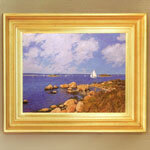 Also available on canvas and in special sizes. 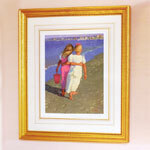 Framing is available separately.